2019-2020 Grant Application Now Available! All applications and supplemental materials due June 15, 2019. 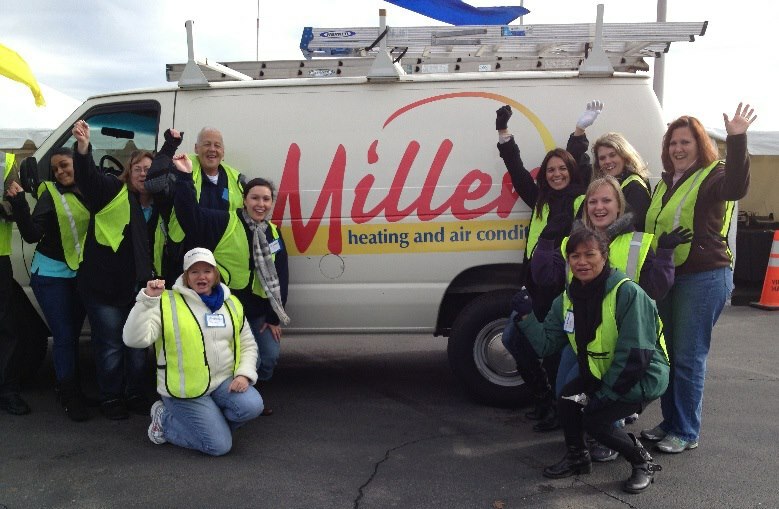 Local nonprofits get a little help doing a lot of good thanks to the Millers Foundation. Millers and the Millers Foundation are committed to developing relationships and programs that support the local community. Many of the charities that receive contributions from the Foundation are well known to Millers customers and employees; others are grass-roots groups who are meeting an unmet need. Regardless, everyone knows that these efforts benefit people right here in Hampton Roads. Chesapeake Care: equipment for Chesapeake Care’s dental clinic which cares for low income individuals in Chesapeake. Clever Communities in Action—Razor Sharp Readers: a literacy program for boys through local barbershops and provides books that offer positive cultural messages. Lee’s Friends: nutritional program provides specialized diets essential to survivors of head and neck cancers. Life Enrichment Center: computer equipment for literacy tutoring at Norview Elementary’s Literacy and Technology lab. Norfolk CASA: funding for the volunteer coordinator position which provides Court Appointed Special Advocates for over 150 children in Norfolk’s court and foster care systems. Park Place Dental Clinic: offers full range of dental care to Norfolk residents on a sliding scale, helping the underserved members of our community. Promethean Group: seed money to start a mobile health clinic to engage volunteer and student medical staff to target health needs of homeless residents. St. Mary’s Home: purchase of a stander and bars that allow children and young adults with disabilities to gain physical therapy benefits from attaining a standing position. Teens with Purpose: Safe Creative Space Youth Internship Program will engage teens in creating community gardens to develop leadership and business skills. The Muse Writers Center: creative writing instruction and readings to residents of senior living facilities. Virginia Peninsula Food Bank– Culinary Training Program: prepares people for stable careers in the food and hospitality industry and reduces hunger by providing prepared foods to local childcare and education programs. Western Tidewater Free Clinic: assist patients with transportation costs for women needing mammograms and provide supplies necessary for diabetic testing. Delivering food to The Foodbank after a successful Food Drive! See our Guidelines and Application in the sidebar for more information on applying for a grant. Our grants are awarded annually in August. The deadline for applications is June 15th. The Foundation awards a variety of grants to organizations annually. We look forward to hearing about your cause! before submitting your grant request. It will first be reviewed based on its relevance to this important document. You must complete an application for each grant request to be considered. Feel free to include any printed or published materials with your completed application. Postmark must be dated on or before June 15th. Decisions are made annually in July & August by the Miller Oil Foundation board of directors, and all decisions are final. Checks are awarded in August. You will be notified by mail of your award or refusal. All organizations are welcome to reapply annually.